Let us create your perfect curtains – simply choose your favourite fabric, enter your measurements and we’ll do the rest. Take quick & accurate measurements with our step-by-step guide. Our step-by-step guide shows you how to take quick and accurate measurements. Care: Cool water wash, cool Iron, Do not tumble dry. Collection:Dusk till Dawn Width : 131cm Weight: 300 g/m² Composition : 100% Polyester. Application : Curtaining (Double width) Care: Cool water wash, cool Iron, Do not tumble dry. Composition : 59% Cotton, 41% Polyester. Care: Care: Do not Bleach, do not tumble dry. 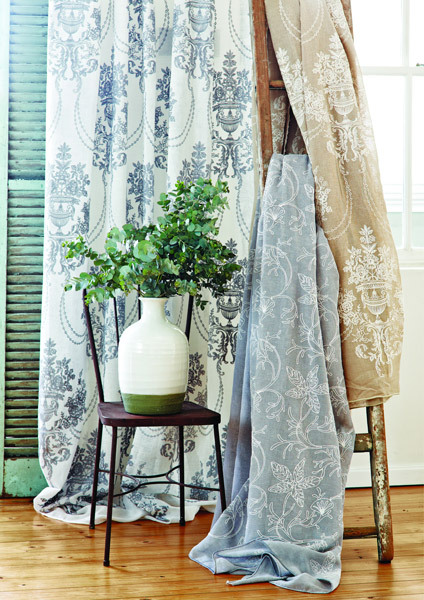 Curtains Online is South Africa's First Online Custom-Made Curtains Service. Simply choose your fabric, enter your custom measurements and desired finish and you will receive your beautifully tailored curtains within 7-10 working days. Only by appointment; one-on-one service.